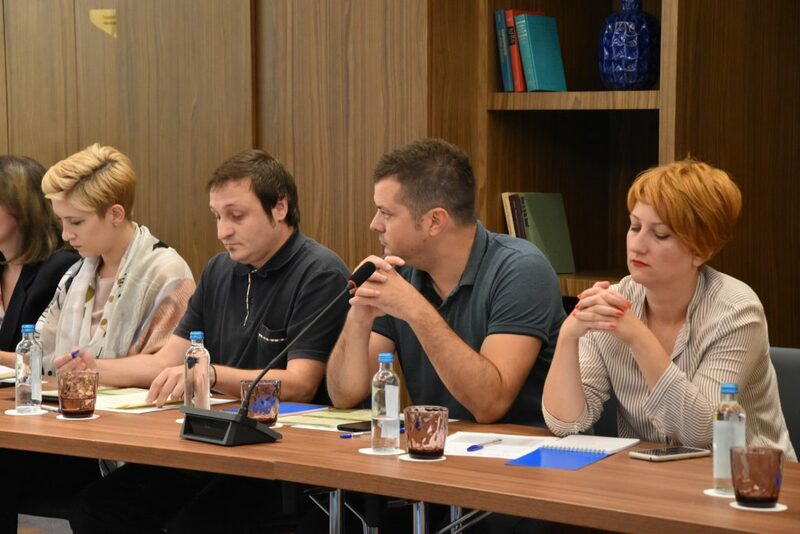 On 11 September 2018, a roundtable discussion was organized in Skopje, on the following topic: “The role of the media and its impact on promoting interethnic integration and democratic values among youth“, which was attended by about thirty journalists, representatives of the educational institutions and representatives of the international donor community. The aim of the roundtable discussion was to discuss the potential ways for strengthening the role of the media in the process of promotion of the interethnic integration in schools, as well as the development of civic and democratic values among youth. At the start of the event, the attendees were addressed by Mr. Edward Gonzalez, Director of the General Development Office, USAID Macedonia. “Media shapes public opinion. It has the power to influence our perspective of reality and the decisions we make. 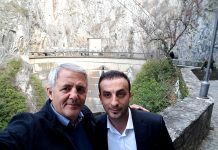 That is why it is so important for the media to not only inform people about negative stories but also highlight the many positive developments that occur in the lives and communities of young Macedonians throughout the country.“, he said. 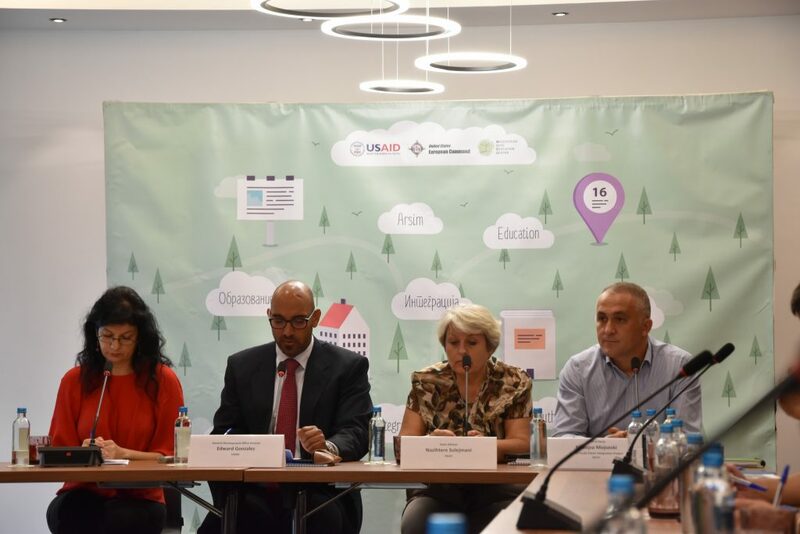 In her speech, Mrs. Nazihtere Sulejmani, State Advisor in the Ministry of Education and Science and President of the Working Group for Interethnic Integration in Education at the MoES, spoke about the importance of the cooperation between the institutions and the civic sector in the direction of improving the interethnic cohesion in the schools. Finally, Mrs. Ana Mickovska Raleva, Project Monitoring and Evaluation Coordinator, presented the different views of the students, teachers and parents who participated in the first year of implementation of the project. 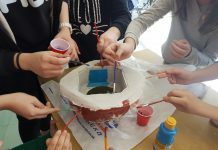 According to the project survey, the majority of the students have positive experience from the participation in joint student activities with students who study in another language of instruction. “We can see the difference when we have such activities; we are somehow closer, we spend more time together”, said one of the students. However, some of the students admit that their parents and teachers discourage them in order to avoid potential “conflicts” among young people from different ethnic communities. When it comes to democratic culture in schools, the survey shows that almost half of the students think that they can have problems at school if they openly express their opinion. After the discussions of the panelists, the Chief of Party, Mr. Nebojsa Mojsoski, pointed out that the strengthening of the interethnic integration and the democratic values among young people is a long and complex process and that the support of the media is important for its success, and then a discussion among the participants was opened. Some of the conclusions from the discussion are that the educational topics should be more represented in the media, both in terms of quantity and quality. The journalists should report about the issues related to interethnic integration in an objective and unsensational manner, in a positive connotation, rather than just informing about “conflicts”. Also, the media should find innovative ways how to approach young people and offer them content for young people, i.e. inform them about issues of their interest. Finally, the importance of the transparency of the implementer of the project for maintaining the cooperation and communication with the journalists was emphasized.